Our Deluxe Condo is located on the second level with Bali style furnishings, designer carpet and cathedral ceilings throughout. It has two large separated suites with beautiful walk-in stone showers. The lush tropical grounds are maintained by the Outrigger and features two swimming pools, a hot tub, a pool pavilion which features a large flat screen TV and plenty of space for your personal enjoyment. Our condo was remodeled utilizing an island style design and has a large King size bed in the master bedroom and a Queen bed in the second bedroom. Each room has an air conditioning unit. The kitchen features granite counter tops with stainless appliances which is fully equipped to meet all your cooking needs. We are in the heart of Lahaina and the historic whaling village. Only two blocks from the famous Front Street with its many restaurants, galleries, harbor and beach. The bus station is only a block away and you can ride to anywhere on the island - can get by without a car. We are sure you will love your stay in our beautiful condo and enjoy all the extra decor that makes you feel right at home. Library within a couple of blocks. We had a fabulous stay at this Aina Nalu condo! It's easily walkable to downtown Lahaina, so we didn't have to fuss with parking, etc. The condo itself was spacious and comfortable. The owners were great about communicating with us, and the check-in process was easy. We really enjoyed the smaller pool area and had a fun BBQ there. We came to Maui to get married, and most of our guests also stayed at the Aina Nalu complex. We also held our ceremony in the pool Pavilion building. We couldn't have asked for a better experience all the way around. The condo was clean, updated and had all the amenities. We really appreciated not having to rent boogie boards, beach towels, chairs and umbrellas. The cooler was super handy for taking picnics on our excursions - we saved a lot of money by bringing our own food on adventures. Pools were also nice and location is perfect! 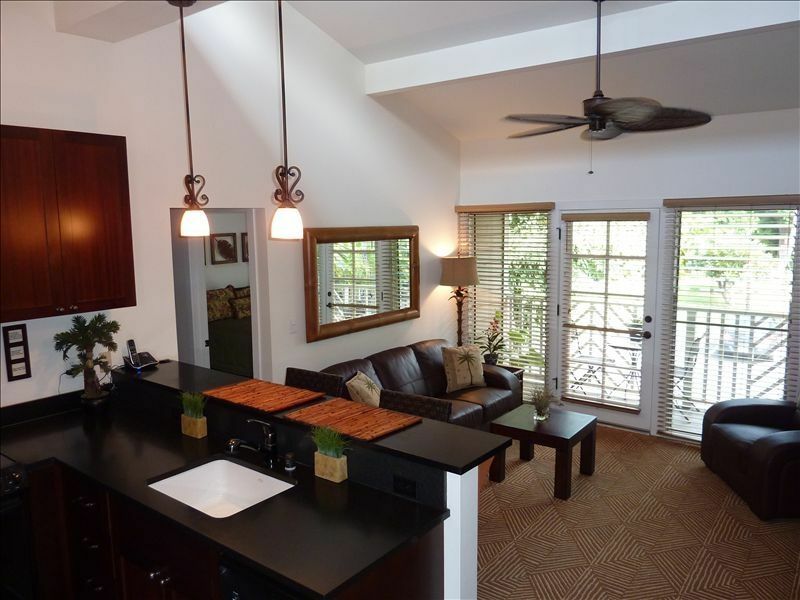 This condo is perfectly located a block away from Front Street which is the pulse of Lahaina. However, location is not the only reason to rent this two-bedroom condo. It is beautifully furnished with everything a person could need: coffee maker, hair dryers,, soft linens/towels, water bottles to borrow. It has everything to fix meals at home or offers numerous opportunities to sample the local cuisine. If we returned to Maui, we would not hesitate booking this lovely condo again. I would definitely stay here again. It is very well located in Lahaina. The complex is large and sometimes noisy with traffic and parking should be included in price or at least more reasonably priced. Pools are good and overall was a great vacation property. Appreciated the use of beach towels, chairs and boggle boards. B207 is ‘simply perfect!’ This is our third stay in this unit! From the welcome basket to the departure check in, your needs are well taken care of. Aina Nalu is a beautiful resort with lush vegetation, privacy between units and a stunning salt water pool. The unit itself is well appointed with all the comforts of home. The balcony looks out to the mountains which keeps the unit cooler. Not to worry though because the air conditioners are quiet and very efficient. We love the modern full size refrigerator and freezer. The beds and furniture are very comfortable and the showers have great water pressure. B207 is a home away from home. We appreciate how accommodating Larry, Martha and Christy are at guest requests. They welcome you to their home and quickly make you ‘Ohana!’ Thank you all again for a wonderful winter! This was a great place to stay for my family. We enjoyed the pools and the quick walk into Lahaina. The kitchen was well and the gear in the closets came in very handy going to the beach. The family also enjoyed the grill which we used a few times during the trip. Finding parking on the street was pretty easy most days too. The place was very relaxing and would stay there again. Checkin is 3:00 p.m. and Checkout is 10:00 a.m. A late checkout will be allowed for a fee depending on availability. OWNER'S CANCELLATION POLICY: 100% REFUND if cancelled 60 days prior to arrival, less a $100.00 cancellation fee. If cancelled within 45 days of arrival, money paid will not be refunded unless we can rebook the condo during this time frame, in which case a full refund, less $100 booking fee will be issued. PARKING - Aina Nalu Resort charges $20/nt. to park on site. The fee is due at the time of check-in at the main lobby. Owners have no ability to waive parking fees because owners receive no portion of fees collected. There are parking lots across the street that charges less for parking, and parking on the street is free on a first-come basis. Guests must contact owners for maintenance or housekeeping issues. The front desk does not assist with anything except to issue parking passes. VRBO/HomeAway started charging travelers a service fee in 2016. Owners do not have any control over this charge, and therefore cannot waive, discount, or refund the fee.